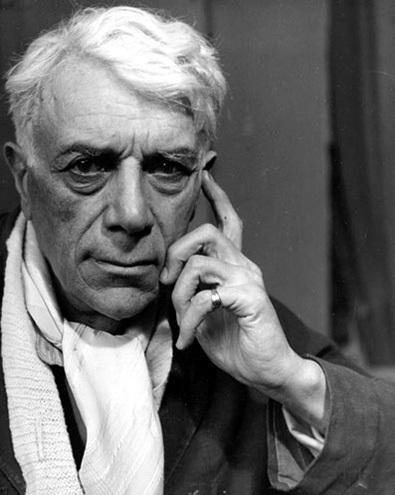 Braque was skilled in several artistic disciplines, such as painting, collages, drawing and sculpture. This was an artist who had passion for his work but less desire to attract fame and fortune, leaving that to others with whom he was connected. The French capital, Paris, was a melting pot of artist inspiration and ideas during the early 20th century and Braque's period living here was amongst the most significant in his life. Countless artists and other creatives of around this time would mix together and draw new influences into their work. Georges Braque's early art works were impressionist in style but he started to change as more influences came into his life and career. Fauvists like Henri Matisse were making an impression at that stage and Braque started to produce work more in line with that movement. Paul Cezanne was then the next major influence upon artist Braque, and elements of his style were picked up by a new movement known as Cubism, which was to boast the membership of Braques, Pablo Picasso, Juan Gris and Fernand Leger. Jean Metzinger, Albert Gleizes, Marcel Duchamp are other famous names to also have been involved with this contemporary art movement that one of the more significant developments in 20th century art. Swiss abstract artist, Paul Klee, was also to spend periods of his career developing Cubist work and those influences were part influenced by French exhibitions from the likes of Robert Delaunay. As this movement gained momentum, it's original members like Braque would start to receive critical acclaim for their contributions. Picasso's name over shadows all others involved with the Cubists, but enough light has been shone onto this period to uncover more on the supporting cast. Disclaimer: GeorgesBraque.net is a personal website covering the career of famous French painter Georges Braque, but is in no way an official website for Georges Braque and GeorgesBraque.net does not claim to be that in any way. The Estate of Georges Braque and their presence hold all necessary copyrights and licences for all of his paintings and other works. All prints, paintings and photos included in GeorgesBraque.net are provided as an affiliate to Art.com who hold necessary permissions. Art.com pay us small commissions based on any prints or paintings that you buy as a result of using this website.